This is the Model Builder's Triangle Set. This is the Model Builder Triangle Set. FEATURES: Made of Semi-Clear Soft Bendable Plastic. 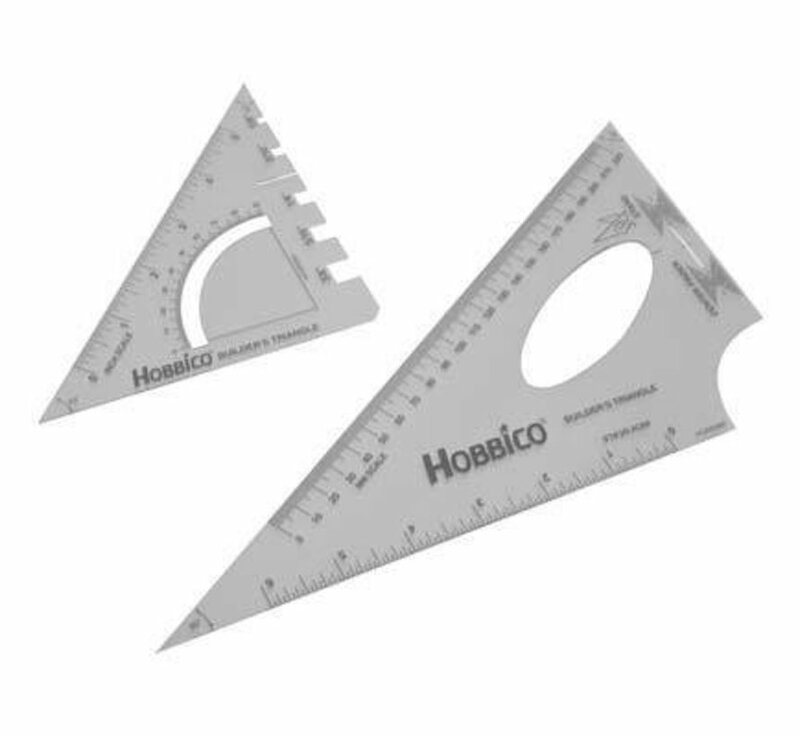 2-Piece Set with Interlocking 30°, 45°, and 60° Triangles. 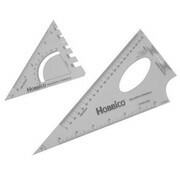 Thickness gauge 1/8", 3/16", 1/4", 5/16", and 3/8"
COMMENTS: Also available Model Builder Ruler.